The usual way to start a jazz vocal career is to stick with standards, trilling and scatting in the well-traveled tracks of great singers who have come before. 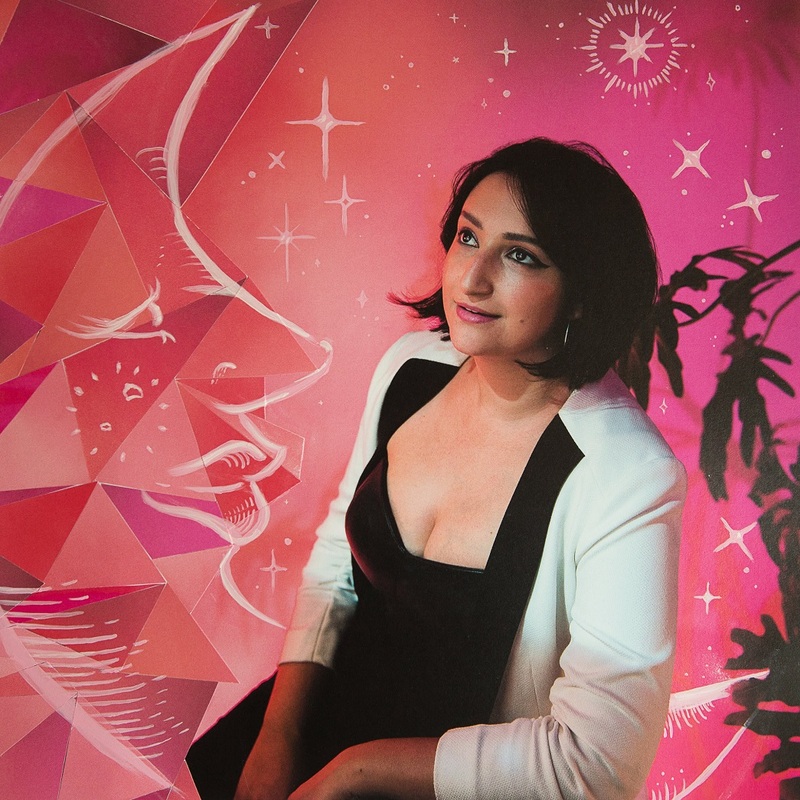 Rising young New York-based singer-songwriter Allegra Levy eschewed that approach on her acclaimed first two albums, which consisted almost entirely of original compositions. Now, with her third release, she turns to songs written by others, with a unifying theme: the moon. 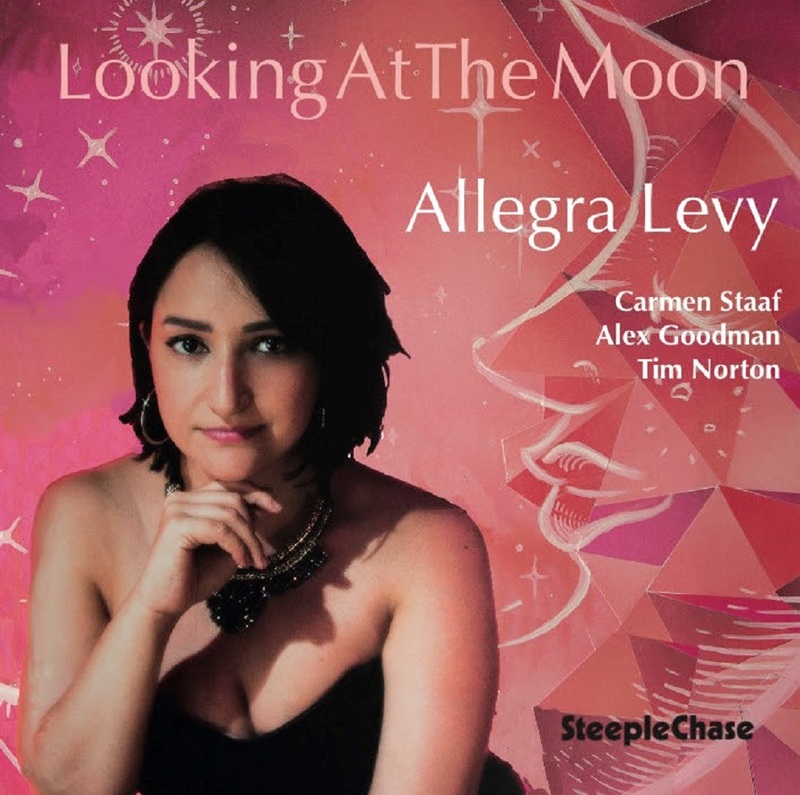 Levy concedes that there is nothing all that novel when it comes to singing about the moon. Frank Sinatra didn’t just fly us to the moon, for example; he recorded an entire album about it. Yet the lunar sphere has long fascinated Levy. She was moonstruck from an early age. “The first thing that my mom used to sing to me when I was a young child was ‘Moonshadow,’” she recalls. Cat Stevens’ 1970 pop hit proved to be more than a hip lullaby for her. It was love at first sound. After featuring a full rhythm section on her previous albums, Levy chose to drop the drums entirely this time. “I thought it would be cool to play with a smaller group. We did a bunch of duos and trios as well.” The only other player featured is guitarist Alex Goodman, a winner of the Montreux Jazz Festival International Guitar Competition who has been noted for his “fluid lyricism” by DownBeat and “dazzling improvisational dexterity” by the NYC Jazz Record. “In many ways, I think this record is a quieter, more intimate reflection of my innermost thoughts,” Levy says. Yet even while scaling back on the personnel, Levy expanded her repertoire, straying from her usual strict diet of straight-up jazz to include more modern fare. Nick Drake’s “Pink Moon” is included, as is the Cat Stevens piece in a rather atonal rendition that is not your mother’s “Moonshadow.” Not her mother’s, anyway. “It’s definitely the loss of innocence piece on the record,” Levy says. Levy’s composing skills may have something to do with the originality of her takes on tried and true tracks like “Polka Dots and Moonbeams,” sung with a freshness that makes them new. This may be especially true when you train your sights on what – next to love itself – may be the world’s most popular subject of song. “When I started talking about this project, there were so many moon songs to choose from that I actually ended up eliminating a lot of them,” she says. To make the matter even more difficult, everyone she asked had a different idea about the best moon song ever written. In the end, Levy chose a range of songs including “I Got the Sun in the Morning,” Neil Young’s “Harvest Moon,” and “Moon Ray” (with an updated version inspired by one of her favorite singers, Nancy King). “I tried to stick to tunes that I really felt a connection with,” she says. The one exception is the classic “I’ll Be Seeing You.” “That was not supposed to be on the record at all,” says Levy. “I had never sung it on a gig before. I had never even rehearsed it.” But SteepleChase Records founder Nils Winther wanted Levy to include it because of its closing line, which begins, “I’ll be looking at the moon.” So she recorded it at the very end of the session, and as serendipity would have it, that line ended up being the title of the recording. For Levy, Looking at the Moon was a fun project whose time had come. “These are tunes that I really like to sing,” she says. “They just all happen to have a moon theme.” Although she named her dog Luna, “I’m not a moon worshipper,” Levy insists. But watch out! Listening to her latest album may make one out of you. 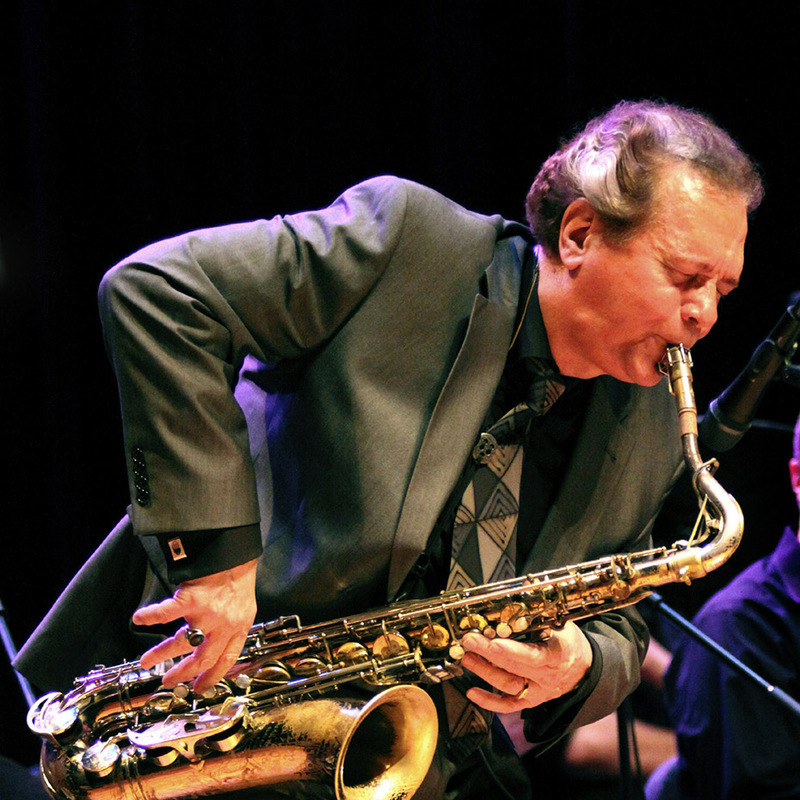 A local hero who has gone on to become a national treasure, Cleveland’s Ernie Krivda is one of the great tenor saxophonists of present day jazz. Listeners familiar with his many recordings and who’ve been lucky to witness his instrumental magic live can attest to Krivda’s creativity and outsized virtuosity. 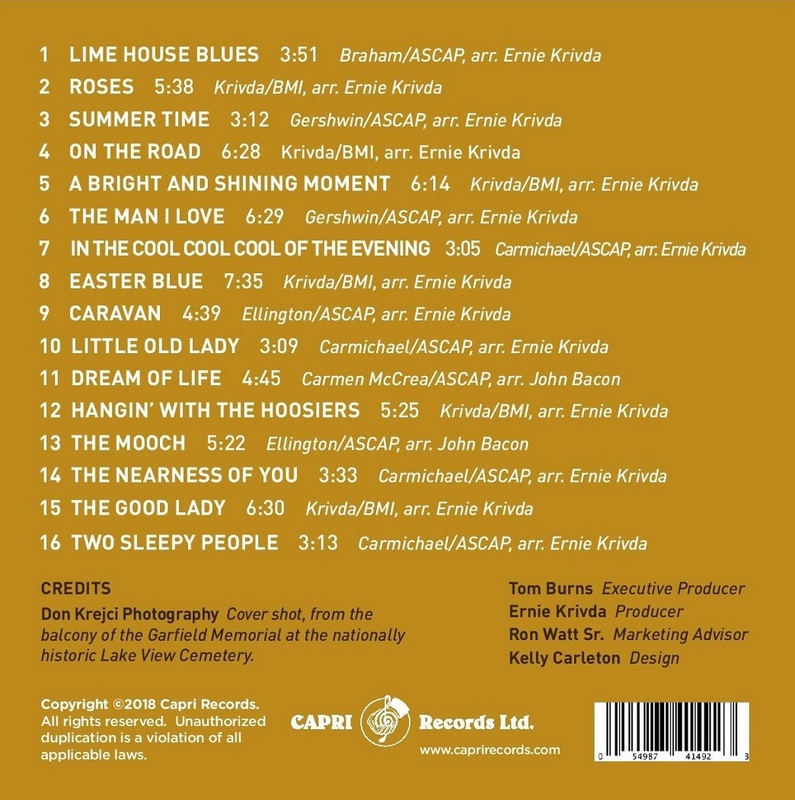 His new recording A Bright and Shining Moment, available June 15 via Capri Records, allows us a satisfying glimpse of Krivda’s wider range of musical talents. 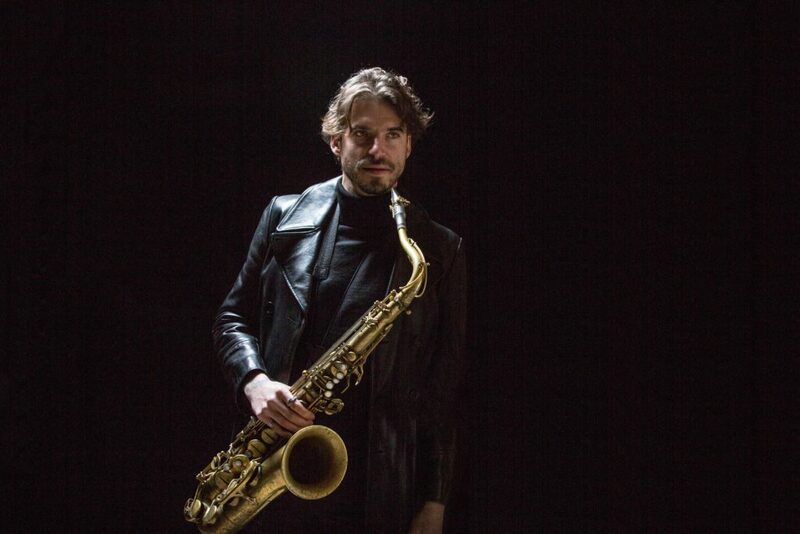 In addition to his superb saxophone stylings we have a chance to appreciate Krivda’s skills as an inventive composer and arranger and an inspired bandleader of a mid-sized ensemble. For those who know the Cleveland polymath mainly as a charging improviser, A Bright and Shining Moment will be a revelation. 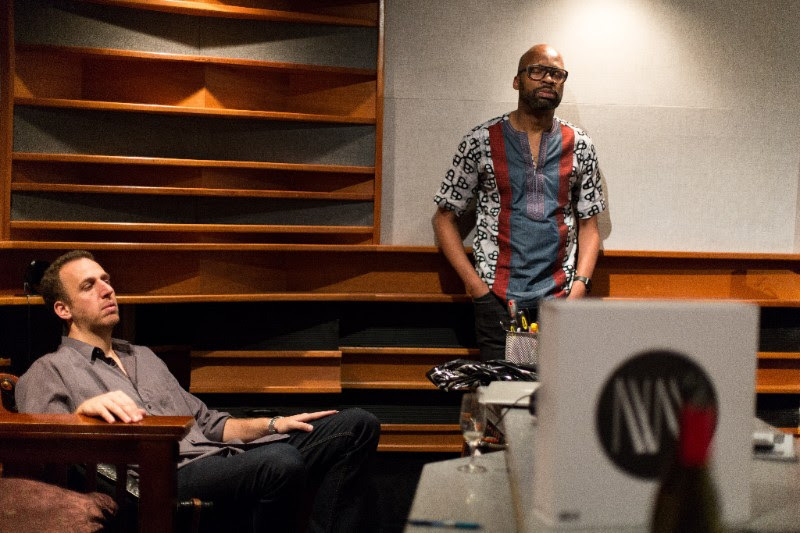 As Krivda explains in the album’s detailed liner notes, the original septet’s mission was to reflect a broad swath of jazz styles, touching on milestone eras of the music. “The band would be called Swing City,” Krivda relates. 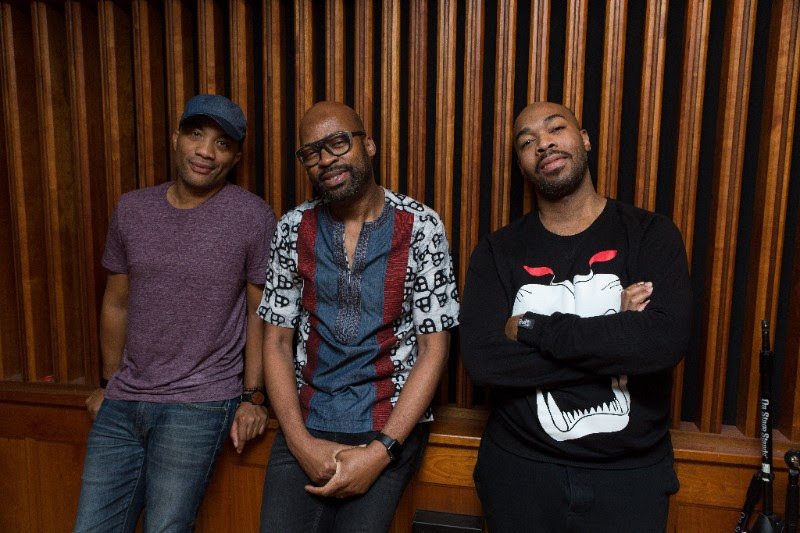 ”The name would identify the rhythmic groove that the band’s musical stories would ride on, and our respect for its place in the pantheon of jazz. We valued freedom of spirit with a commitment to feel and melodic clarity as sources of beauty and a way to connect with each other and the audience. With a fresh perspective, we heard a jazz culture that would use skill, craft, and individuality to create a people’s music.” A Bright and Shining Moment captures recordings from the ensemble’s prime period shortly before it disbanded in 2002. Swing City’s very reason for being was to produce driving, lusty and accessible jazz. Whether digging into durable Eliingtonia including “Mood Indigo,” “Caravan” and “The Mooche”; such standards as “Summertime” and “The Man I Love”; a gathering of Hoagy Carmichael gems; or Krivda’s own memorable tunes including the beautiful Strayhorn-influenced ballad “Easter Blue,” Swing City fully lived up to its name. Swing City may no long exist as a working unit, but A Bright and Shining Moment ensures that this energized ensemble will not soon be forgotten. 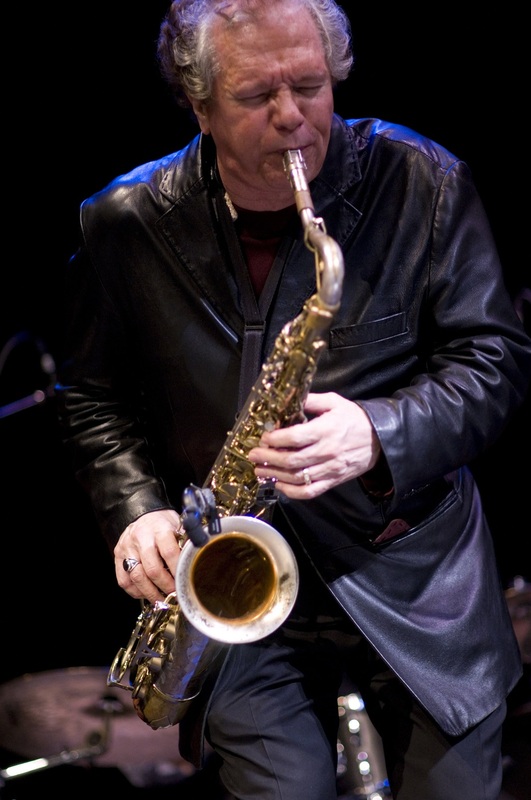 A 2009 recipient of the Cleveland Arts Prize award for lifetime achievement in music, the saxophonist, bandleader educator and recording artist Ernie Krivda has been a driving force in jazz since the 1960s. 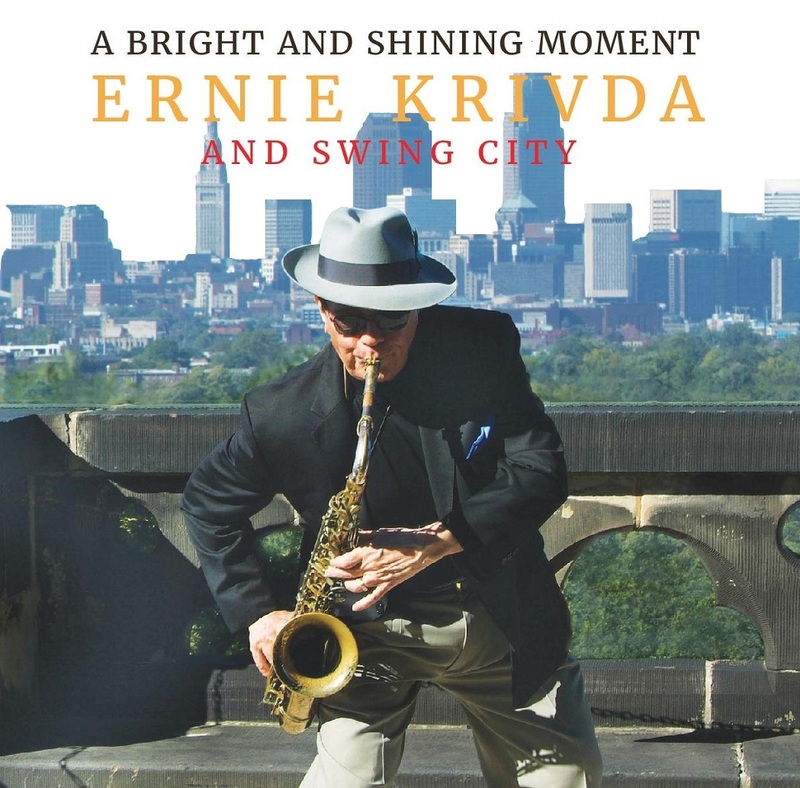 After establishing himself as one of Cleveland’s foremost musicians, Krivda performed with such major jazz artists as Ella Fitzgerald, Buddy DeFranco and David Sanborn. At the helm of his own quartet as well as the Fat Tuesday Big Band, Krivda has firmed up a national reputation as a leading improviser and bandleader. Krivda has also won the Jazz Legends award from the Tri-C Jazz Festival and a Community Partnership of Arts and Culture Fellowship. For Portuguese composer Luís Tinoco, music has always been connected with the visual arts, film, theatre, and even with the light of Lisbon itself. Growing up near the ocean has also infiltrated his soundworld; not in a directly pictorial sense, but in a deeper, structural understanding of ebb and flow, of constancy and evolution. 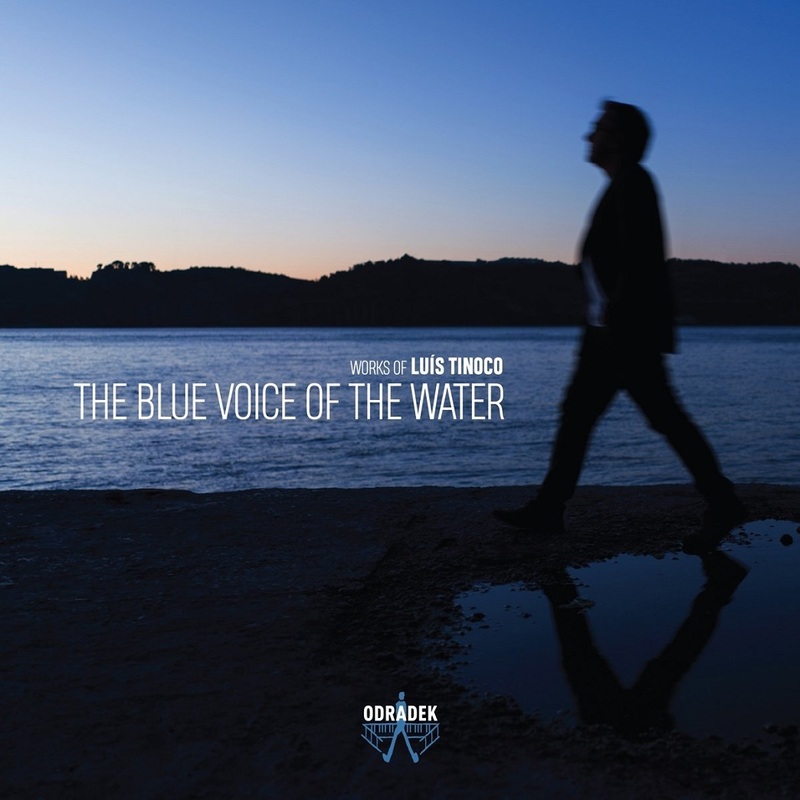 Tinoco’s orchestral works reflect these influences, alongside other cultural allusions: Before Spring is a tribute to Stravinsky’s Rite of Spring, and the vivid poetry of Manoel de Barros helped inspire The Blue Voice of the Water. 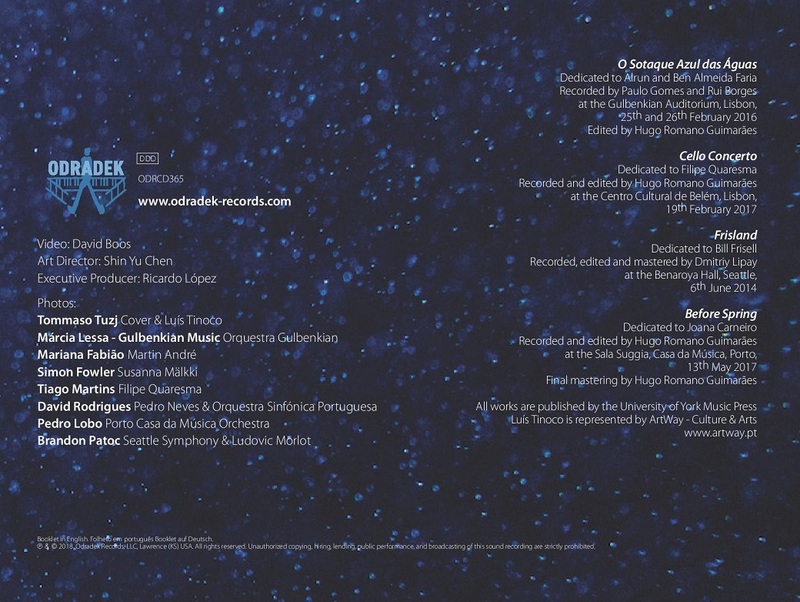 The magical, ethereal Cello Concerto is dedicated to the artist who performs the work on this recording, Filipe Quaresma, acclaimed for his “precise, superbly articulated playing, full of passion yet often quite thoughtful” (The Strad). 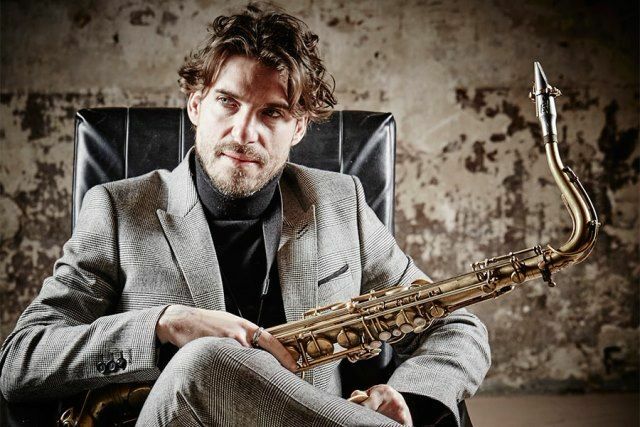 Frisland refers both to an imaginary island first put on the map by the 16th-century cartographer Nicolo Zeno, and to the jazz artist Bill Frisell. The result is a vibrant work which Tinoco describes as “an imaginary voyage through an (also imaginary) soundworld inspired by Frisell’s music”. The recording features performances by four internationally-acclaimed orchestras gathered together on one disc. 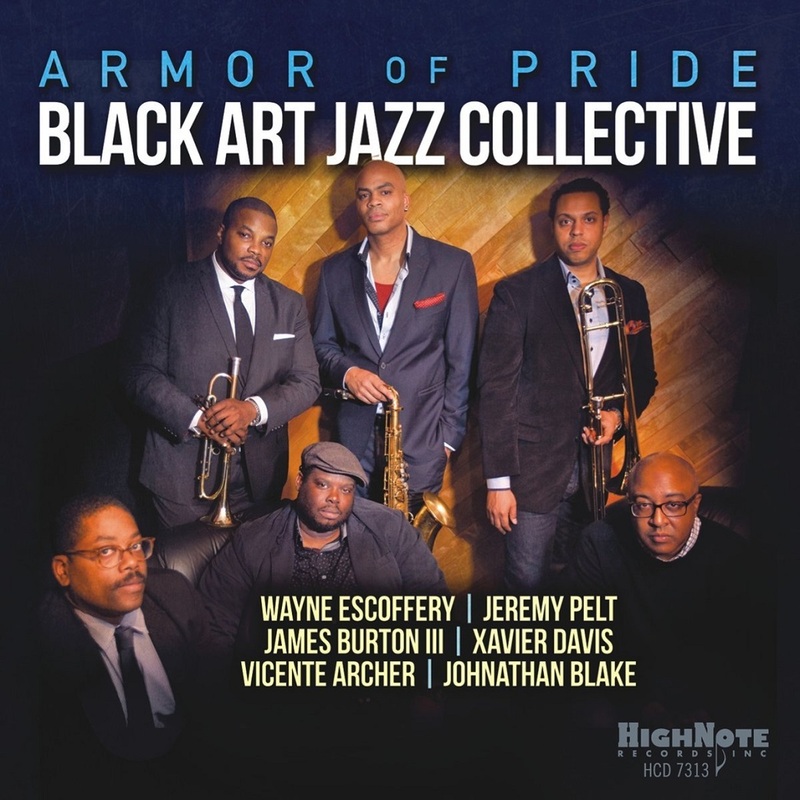 The Black Art Jazz Collective's mission statement celebrates African-American cultural and political icons. At the core is a modernism that conjures up the classic bands of Art Blakey and acoustic Miles Davis. But with the contemporary soul-fuelled solos and locked-in rhythm the band is more likely to launch into a counterpoint riff or the spacious funk of hip-hop than the svelte lines of a classic walking bass.Â The Black Art Jazz Collective delivers strong original tunes and purposeful, form-hugging improvisation that keeps things looking forward rather than back. And with trumpeter Jeremy Pelt on ebullient form, and saxophonist Wayne Escoffery's muscularity contrasting with the tenderness of James Burton III's trombone, the focus never becomes diffuse or wavers. 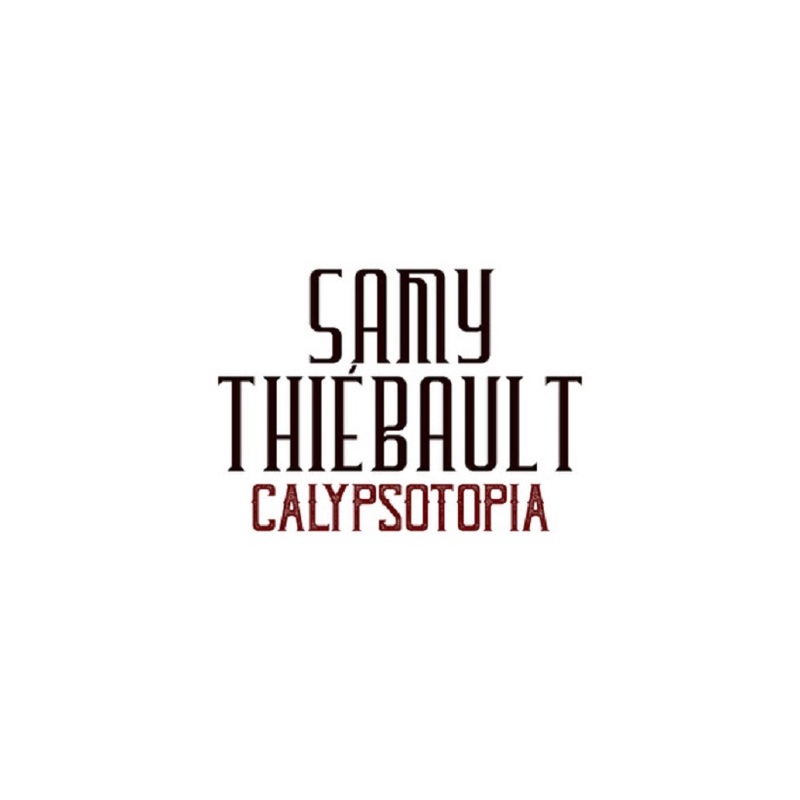 Samy Thiébault est de retour le 21 septembre avec l'album Caribbean Stories dont on peut déjà découvrir le titre Calypsotopia qui va nous accompagner cet été. Si l'on raconte que le jazz est né à La nouvelle Orléans, on sait qu'il fût forgé dans toute la Caraïbe. 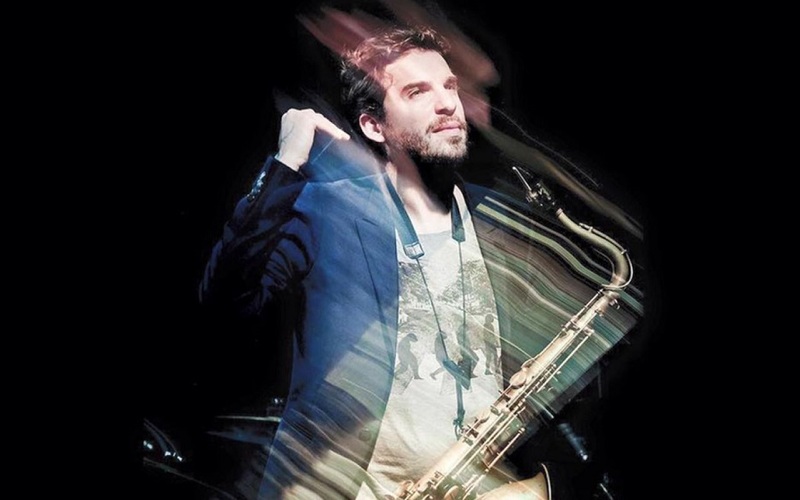 C'est le voyage que le saxophoniste Samy Thiébault nous propose : revenir aux sources du blues et du jazz, partir à l'aventure et se retrouver pris dans un tourbillon musical dont on avait pas deviné la profondeur, un voyage hédoniste, dansant, poétique, et politique. Accompagné aux percussions et à la batterie du cubain Inor Sotolongo et Arnaud Dolmen, originaire de la Guadeloupe, du bassiste Felipe Cabrera et enfin de deux guitaristes, riches d’influences allant de Kingston à la Puerto Rico, Hugo Lippi et le martiniquais Ralph Lavital, Samy Thiébault nous revient avec un album qui raconte l'histoire d'un peuple déraciné. Jazz, calypso, merengue, valse, boléro, chachacha et cent autres genres encore s'entremêlent tout au long de l'album Caribbean Stories, aventure dans les Caraïbes que l'on débute avec la vidéo de Calypsotopia. Si l'on raconte que le jazz est né à La nouvelle Orléans, on sait qu'il fût forgé dans toute la caraïbe. Africains, Taïnos, Espagnols, Indiens, Anglais, Français, ces peuples se sont rencontrés dans les histoires d'esclavagisme, de révolte, de métissage, d’utopies et de liberté. Ce sont eux qui ont forgé un son unique. C'est ce terreau qui est la source du jazz. C'est ce sujet que Samy Thiebault a décidé d'explorer avec son nouveau groupe. Une nouvelle matière autant politique que musicale. Avec comme cœur battant un percussionniste et un batteur, le cubain Inor Sotolongo et Arnaud Dolmen, originaire de la Guadeloupe. Comme pilier harmonique, le bassiste Felipe Cabrera. Et enfin, le groupe est entouré par deux magnifiques guitaristes, riches d’influences allant de Kingtson à la Puerto Rico, en passant par le be bop le plus pur, les incroyables anglais Hugo Lippi et martiniquais Ralph Lavital. Ensemble, ils écrivent une nouvelle page d'un livre sensuel où le rythme fait sens avec des mélodies aux parfums envoutant et sulfureux. Des chansons qui racontent l'histoire d'un peuple déraciné. Un peuple qui a su réinventer son histoire au travers de musiques différentes mais toutes liées ensemble… Il est le peuple du blues, comme le nommait LeRoy Jones. Samy Thiébault ne s’est pas aventuré dans la Caraïbe avec l’intention de chiffonner les lieux communs ou de mener croisade contre le simplisme géomusicologique. Non, il a simplement été pris de passion pour des musiques qui défient beaucoup de vieilles idées bien enracinées – « J’ai pris un camion dans la tronche », dit-il. Caribbean Stories ne raconte que cela : un incroyable emmêlement de musiques qui révèle à quel point elles sont sœurs, imbriquées, intriquées. Jazz, calypso, merengue, valse, boléro, chachacha et cent genres encore, dans un tourbillon profond, hédoniste, dansant, poétique, politique. 2018 Sortie de "Samy Thiébault - Caribbean Stories"
We are proud to announce the world premiere screening of the film A Man And His Trumpet: The Leroy Jones Story today Friday June 15th at 4pm. The documentary was filmed entiely in New Orleans and edited in San Francisco. The film takes a look at legendary trumpeter Leroy Jones' life story from his humble beginnings in the 7th ward, to leading the brass band revival in Nola, to touring the globe with Harry Connick Jr.
And also a followup screening on the east coast at the Martha's Vineyard Film And Music Festival on June 23rd. Feel free to reach out with any questions about the film or if you would like to attend the screening or reception. Lionel Loueke's Close Your Eyes is releasing this week! We are enormously excited to be working with Lionel again after last year's collaboration with Kevin Hays. This record features the stellar world class rhythm section of Reuben Rogers on bass and Eric Harland on drums. Lionel is tackling standard repertoire here in a way and with a voice that only he could. Praised by his mentor Herbie Hancock as "a musical painter," Lionel Loueke combines harmonic sophistication, soaring melody, a deep knowledge of African music, and conventional and extended guitar techniques to create a warm and evocative sound of his own. JazzTimes wrote "Loueke's lines are smartly formed and deftly executed. His ear-friendly melodicism draws both from traditional African sources and a lifetime of closely studying the likes of Jim Hall and George Benson, and his rhythmic shifts come quickly and packed with surprises." This record marks Lionel's first release featuring standard jazz repertoire in his unique voice. 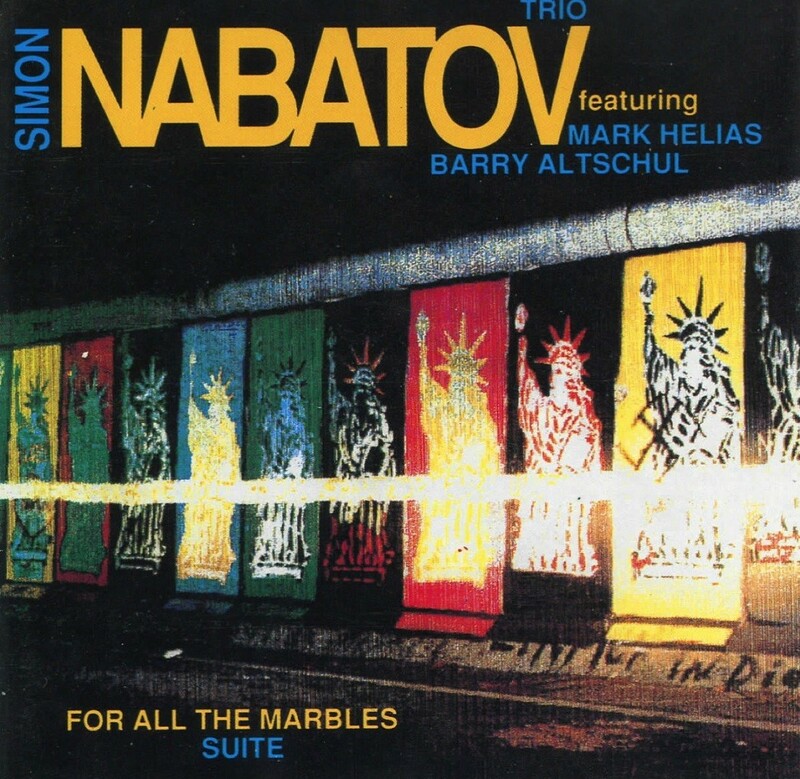 Repertoire including: "Blue Monk", "Body and Soul", "Naima" and "It Might as Well Be Spring." Last days of our Father's Day promotion on the critically lauded First Season of Newvelle Records. Save 15% with the offercode FATHERSDAY before June 17th! "If I’m beginning to sound like a broken record with my praise for the by-subscription releases from Newvelle Records, blame the people responsible for these LPs, which consistently rise to the top in terms of music and sound." All of our cover and interior photographs for Season three come fare by Maciej Markowicz . Original text by Ingrid Astier, Our Recording Engineer on all six records is the incomparable multi-Grammy winning Marc Urselli. Mastering engineer is the brilliant Alex Deturk . Jim Hoppin and Sarah Enid Hagey shot lovely video for us at these sessions. All video editing is by the award-winning Ben Chace. Anna Yatskevich shoots all our studio photos. On June 29th (3rd August for vinyl release) Mr Bongo presents ‘A Matter Of Time’ – the fourth album by ascendant reggae star Protoje – who has scaled great heights and is now set to soar even higher. Protoje is a forefront figurehead of an exciting resurgence of conscious, organic music in Jamacia known as The Reggae Revival, but with over 13 million streams last year and over 156 million YouTube views, his popularity has transcended any particular genre. This powerful songwriter and philosophical thinker articulates the righteous anger of an emerging generation and has rejuvenated the decaying art of socially responsible, mentally stimulating messages through witty wordplay and poetic language. His forward-thinking new album channels a wide array of styles and sounds from reggae, dancehall, dub, hip hop, and even to rock into a cohesive and original whole. It maintains the essence of Jamaican roots music, whilst pushing the envelope in multiple new directions. 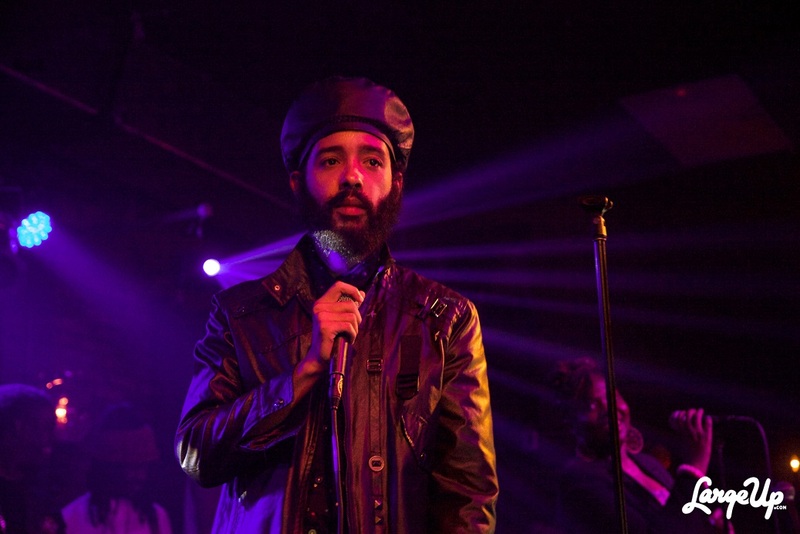 “It’s not as traditional as my last album, but it’s still authentic”, explains Protoje. “It’s more innovative, more global and more experimental. I want to elevate reggae culture and the world’s perception of it”. 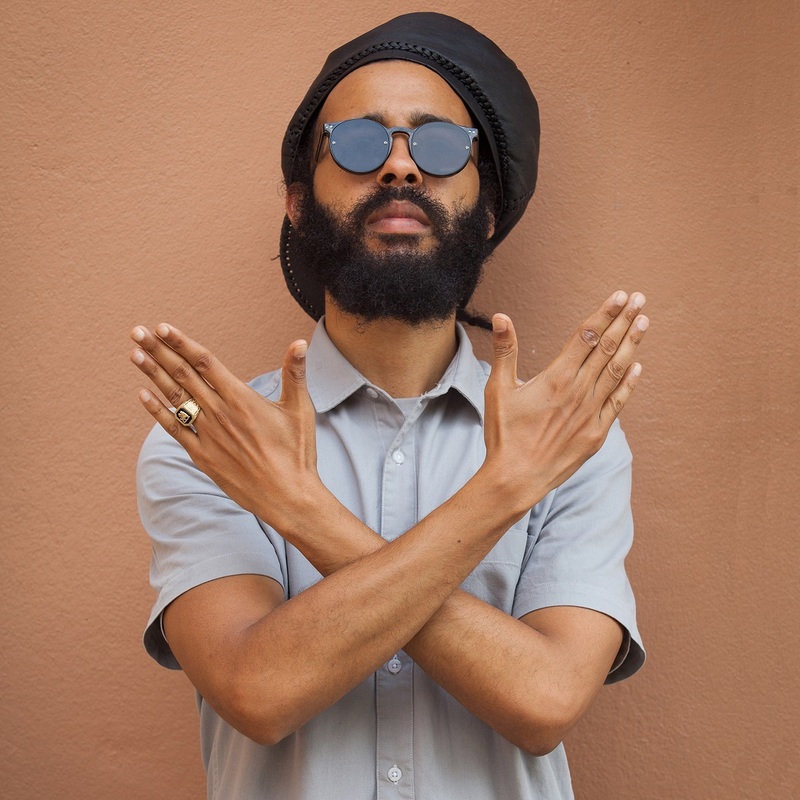 On ‘A Matter Of Time’ Protoje continues the fruitful creative partnerships with producer Winta James and fellow roots king Chronixx, both of which began on the 2014 smash single ‘Who Knows’. From the orchestral intro and Ethio-jazz-meets-ska of album opener ‘Flames’ (featuring Chronixx) it’s clear this isn’t your average reggae album. Next up is the cool ‘n’ deadly ‘Blood Money’, which has already blown up in clubs across JA, New York and London. The vocoder-heavy skank of personal empowerment paean ‘Mind Of A King’ segues version style into companion piece ‘Like This’, making for an anthemic double set. ‘Bout Noon’’ sculpts dusky, laid back hip hop into a sonically fresh groove – a style continued in title track ‘A Matter Of Time’, whose killer beat merges into one drop with heavy bass and eerie warped violin. 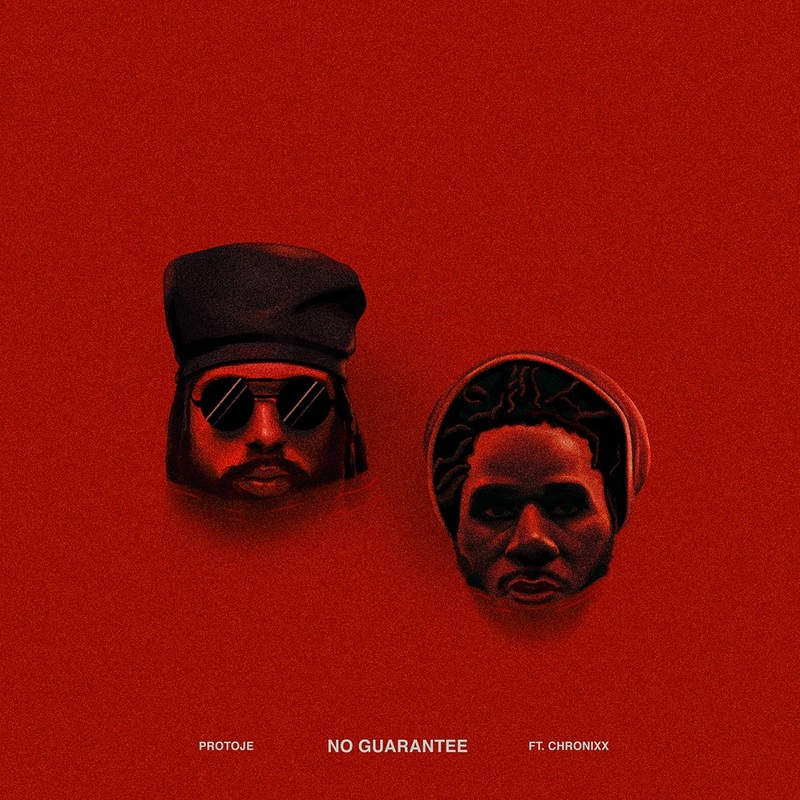 Protoje and Chronixx’s perfect contrasting and complimentary voices are typified on ‘No Guarantee’, which combines 808 drums with distorted guitar for a funky, head-nodding banger. A personal favourite of the artist, he expresses gratitude for blessings on the uplifting, super catchy and horn driven ‘Lessons’, before dulcet toned vocalist Mortimer guests on the soulful, lilting ‘Truth & Rights’. ‘Camera Show’ cleverly links celebrity culture, sexism, politicians and social media to the demise of civilisation, with its “falling falling” refrain ensuring the album ends with pathos and poignancy. Although referencing people and issues from home, including fellow musicians Peetah Morgan and Alkaline, first Jamaican prime minister Alexander Bustamante, assassinated political activist Hugh Shearer and-state sanctioned violence against Rastas during the Coral Gardens incident, the record’s themes are easily relatable to all. Politics, corruption, religion, pollution and inequality are all combated, but are balanced with positive assertions on childhood, education, family, keeping spirit alive and philosophies on living well. “I have no idea what you facing, but on some plane we all go through the same things, so I'm a send these thoughts to you with nothing but love,” he states on ‘Like This’. Protoje's visibility has increased steadily and highly. Named on BBC 1xtra’s ‘Hot for 2015’ list, he has since appeared on BBC 2’s ‘Later With Jools Holland’ recorded two sessions at BBC Radio 1’s Maida Vale and been playlisted at Radio 1 and 1xtra. He has sold out headline UK, US and European tours, and is a firm favourite at festivals throughout the world, performing at the likes of Glastonbury, Coachella and Afro-Punk. 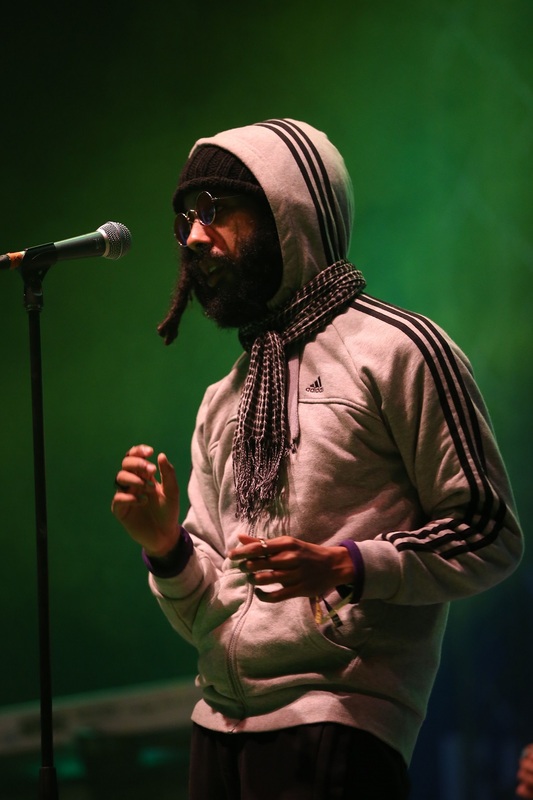 He is the first reggae act to be booked at Reading and Leeds for years, giving yet another indication of his cross cultural, universal appeal. Protoje is an artist acutely aware of the passage of time, as evident by his previous album titles ‘7 Year Itch’, ‘The 8 Year Affair’, ‘Ancient Future’ and now ‘A Matter Of Time’. He describes time as “our biggest currency, which there’s never enough of” – but one thing is certain – is that his time is now. 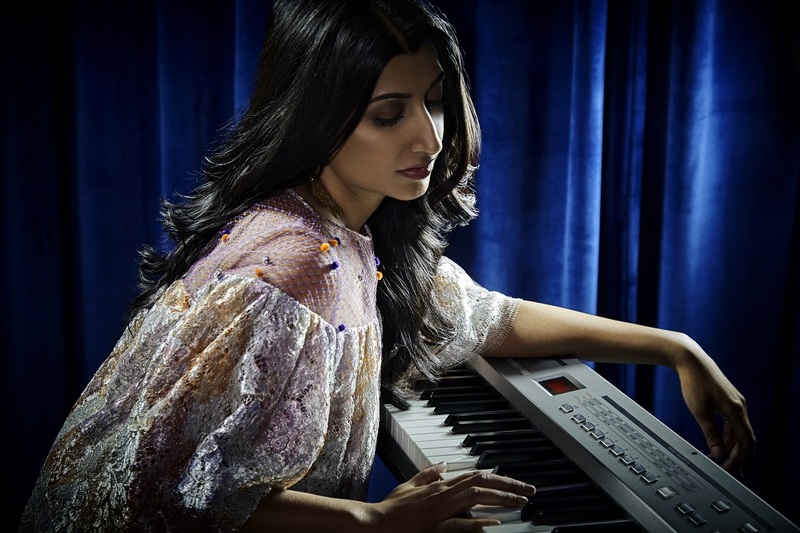 Years ago, the Indian-born, Michigan-raised, Atlanta-based singer-songwriter Anita Aysola was weighing a career as a concert pianist. One afternoon, however, she played a piece for her sister’s music professor. The professor listened carefully and asked one unforgettable question: “What if you brought your Indian classical training into this?” she wondered, pointing at the piano. That moment stuck with Aysola for decades. Then, in 2008, she dived into a favorite raga and wrote “Long Way Home,” one of her first songs that bridged her two lifelong loves, Western classical and jazz, and Hindustani classical. Highly trained in both disciplines, Aysola uncovered how beautifully they could blossom together, once cross pollinated. “For a long time, I felt I had to be one or the other, Indian or American, in both my music and my life,” reflects Aysola. “Once I broke through that assumption, I realized the power of being both, of creating my own personal hybrid.” That hybrid speaks poignantly to our time of either/or, to divisive political and cultural rhetoric, with a tender but unforgiving tension, a heartfelt and incisive ambiguity. However, like many daughters of immigrant families, she resolved to find a more predictable professional career, and her formal education spans everything from engineering to international education policy. Yet music became increasingly important to the young artist, and she found herself longing to write songs, not simply perform other’s creations. She began to study more Western styles involving improvisation, especially jazz and blues. While living in Chicago, she connected with master boogie-woogie blues pianist Erwin Helfer. There and while in grad school in Boston, she played everything from trip hop to jam-based rock to Indian fusion, before focusing more intensively on her own material. Then after a move to Houston, she met Gary Norian, who became her jazz piano mentor and frequent co-writer. Norian’s influence can be felt strongly on tracks like “Bet on Us,” with its rollicking, uplifting New Orleans meets gospel feel. The lyrics in Aysola’s songs have a similar--and similarly complementary--dual nature, dwelling in two realities at once, be it as a person of two cultures, or of several callings, as a musician and a mother and wife. “Beyond Our Dreams” captures that tension and the hope and inspiration it brings, as Aysola sings to her newborn son and reminds herself that her journey continues, even though her life has been joyfully upended by her children’s arrival. The second installment of the „Oldies but…“ series, this recording documents my first attempt to form my own band in the classical trio format. Fresh arrival in Germany, I was soon approached by a small label, interested to record my music. I wrote a bunch of tunes, half of which formed a suite of sorts, heard on this album.